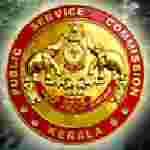 Kerala PSC recruitment 2017 notification has been released on official website www.keralapsc.gov.in for the recruitment of 07 (seven) for Ophthalmic Assistant vacancies. Job seekers should apply on or before 03rd January 2018. Educational Qualification: A pass in Pre­Degree with Physics, Chemistry, Biology/Mathematics as optional subjects or equivalent qualification and Diploma in Ophthalmic Assistants Course (2 years) conducted by the Medical Colleges in Kerala or equivalent qualification.